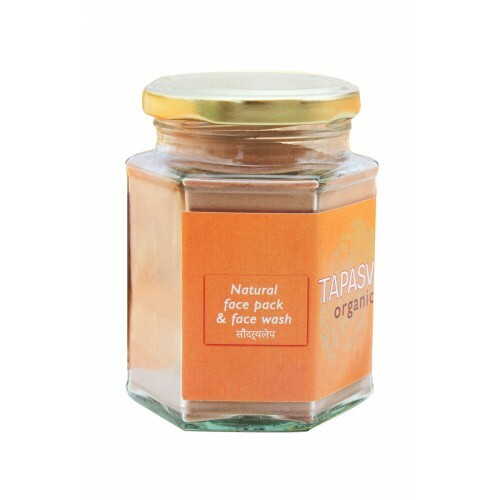 Mix this face pack powder with rose water or honey and make a thick paste. Turmeric is a natural antiseptic. It has antibacterial properties and is also known for its skin brightening effects. Sandalwood has antibacterial properties.Multani mitti, known as the Fuller’s earth is a hugely popular Skin and Hair care remedy. It has numerous magical benefits and advantages for the human body. 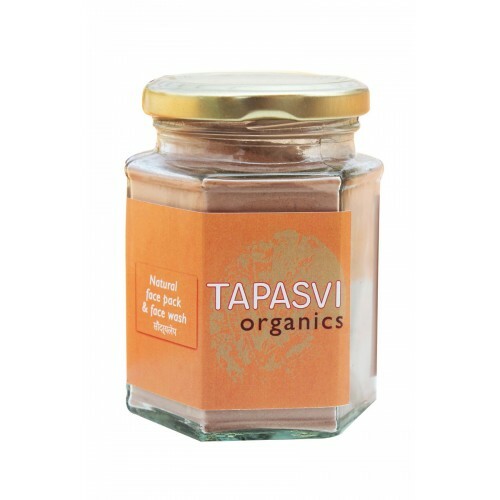 The benefits of Multani mitti are truly incredible owing to its skin healing, improving and nourishing properties. Whether you have dry, dull or acne-prone skin, a Multani mitti face pack is a sure skin saviour. Use Honey for dry skin, it is a humectant that makes your skin soft and supple. Use Rose water for Normal to oily skin, Its mild astringent properties help tighten the pores and gently tone the skin.